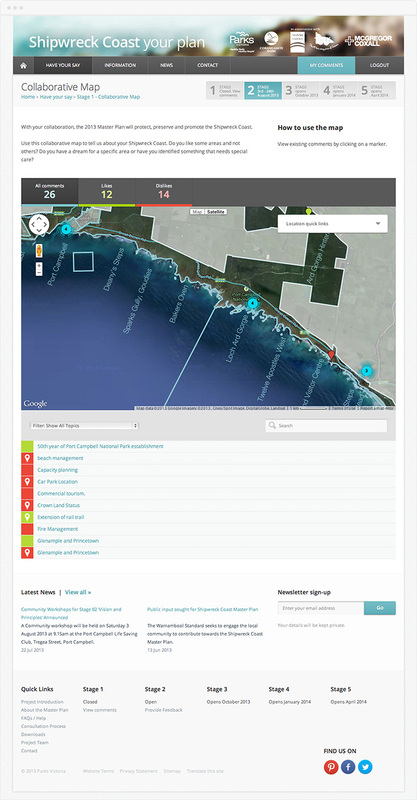 Stretching over 28km, the Shipwreck Coast is a world class and iconic piece of natural landscape. 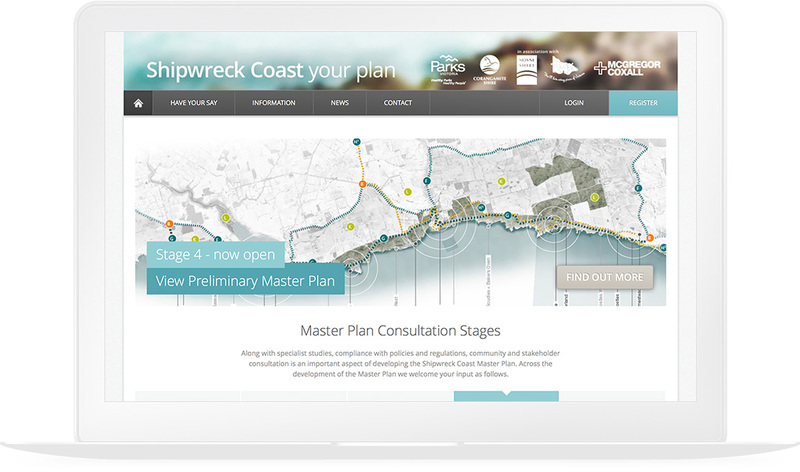 Binary was engaged by McGregor Coxall to provide the digital consultation tools and supporting website for the Shipwreck Coast Master Plan. 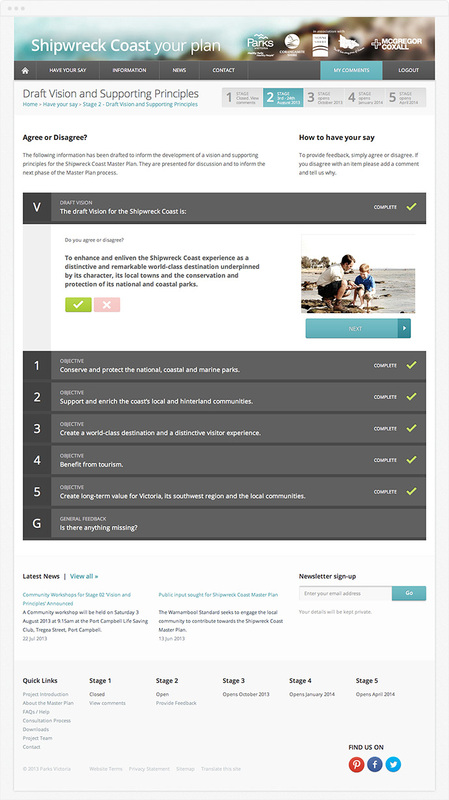 The master plan will provide a long-term strategic framework to guide the protection of the coast, improvement of the visitor opportunities and facilities and to strengthen the local economy through sustainable tourism. 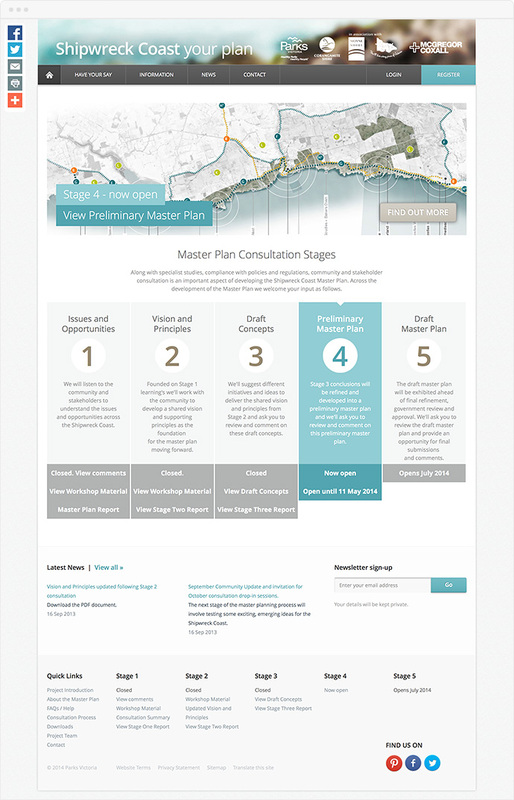 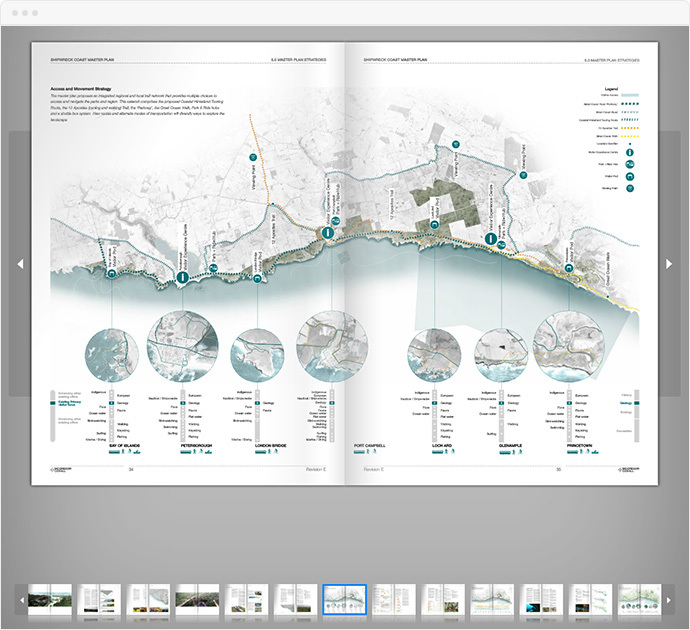 The 5 stage project opened for public consultation in 2013 and collected feedback through multiple engagement models, concluding with the release of the Draft Master Plan in 2015.